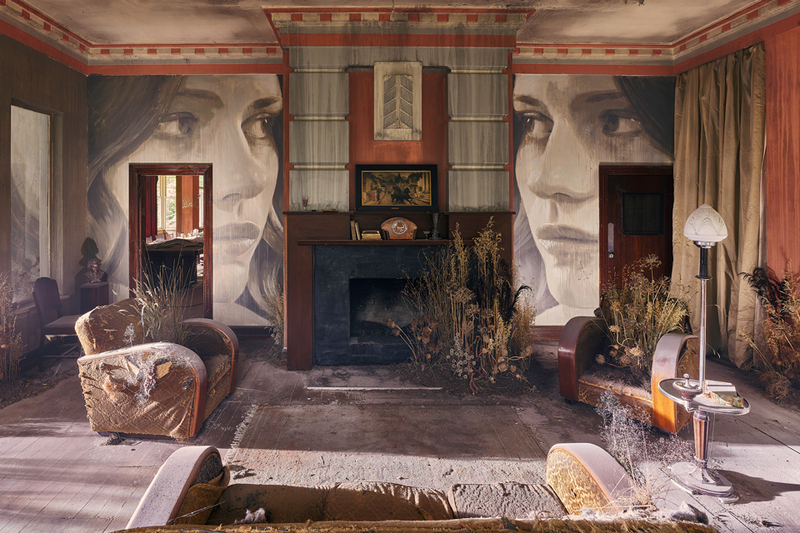 Melbourne artist Rone transforms deserted Art Deco mansion Burnham Beeches in his most ambitious and breathtaking installation yet. 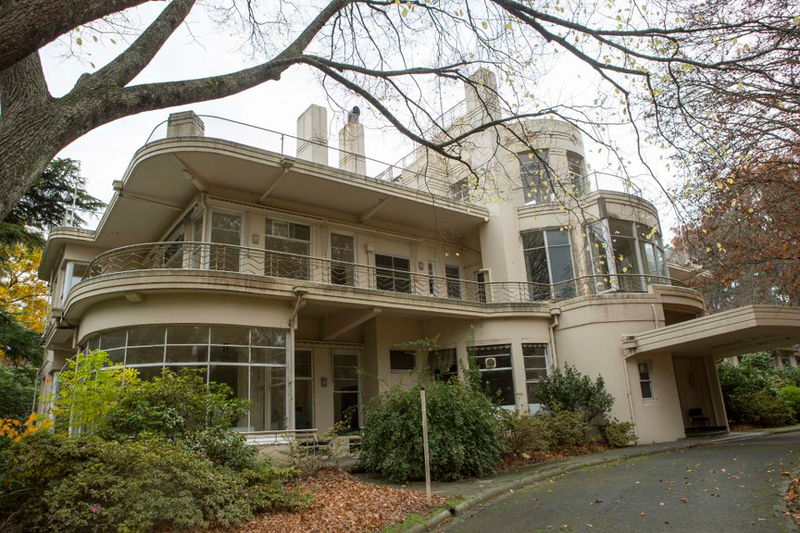 Left vacant for more than 20 years, a sprawling 1930s mansion sits neglected, in a state of ruin. 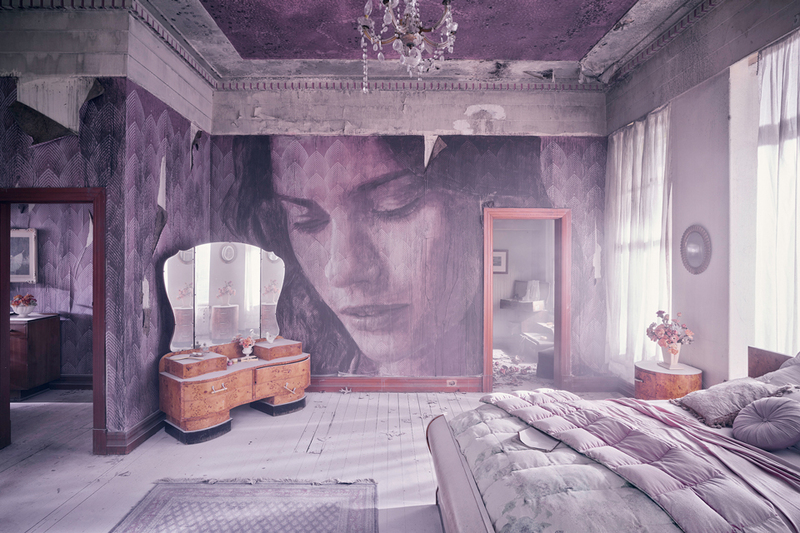 Questions hang heavy in its dense silence, each room strewn with the dusty remains of a collapsed empire and hints of romance past. 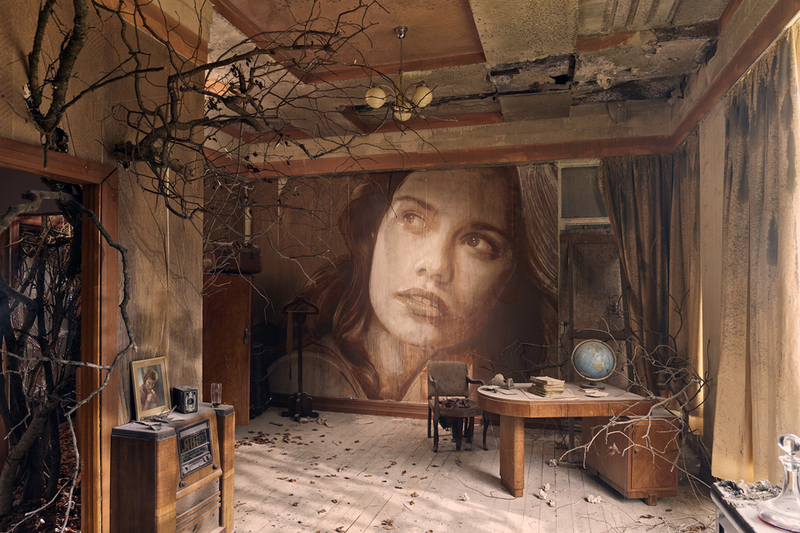 Here, not much is certain but it’s clear that any signs of life have long since departed. 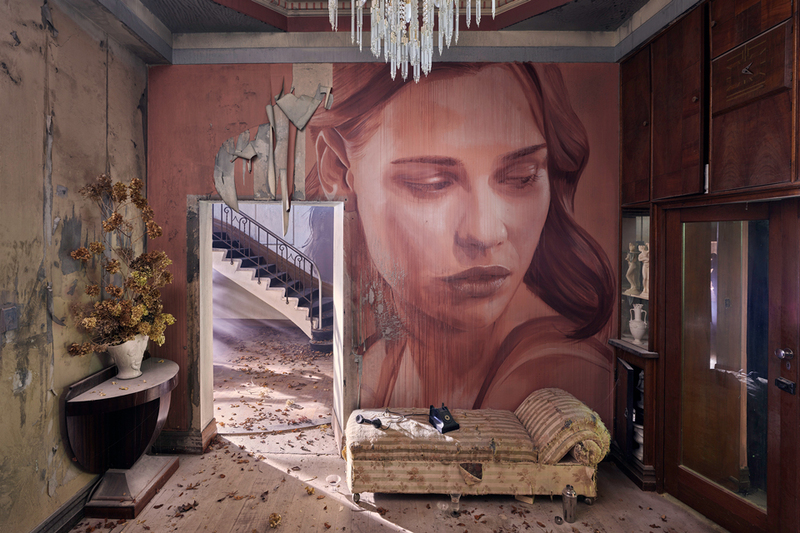 Known for his large-scale portraits, which grace buildings all over the world, Melbourne-based artist Rone uses his work to explore the connections between new and old, beauty and ruin, youth and decay. 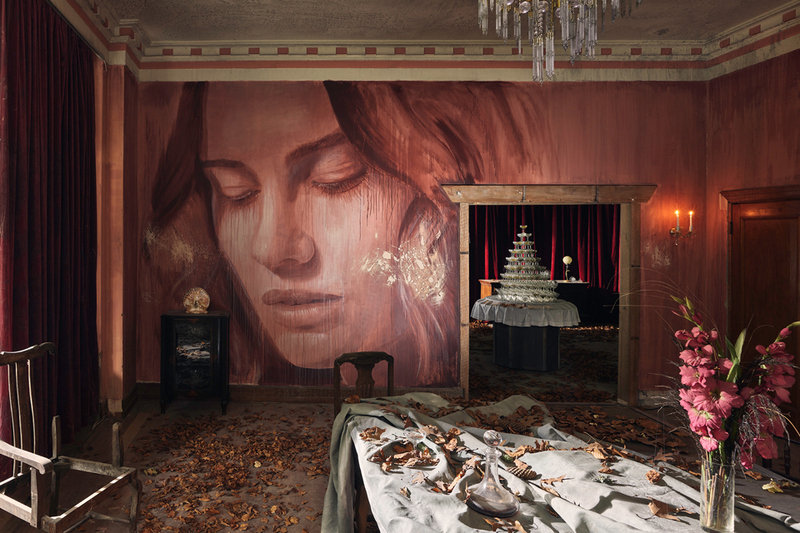 Following the success his 2017 outing, The Omega Project — which saw a condemned family home in suburban Alphington recast, fleetingly, as a gallery and installation piece before being demolished — internationally renowned Australian artist Rone announces his largest and most ambitious project yet: Empire, set amongst the decaying glory of a once-magnificent manor in Melbourne’s Dandenong Ranges. 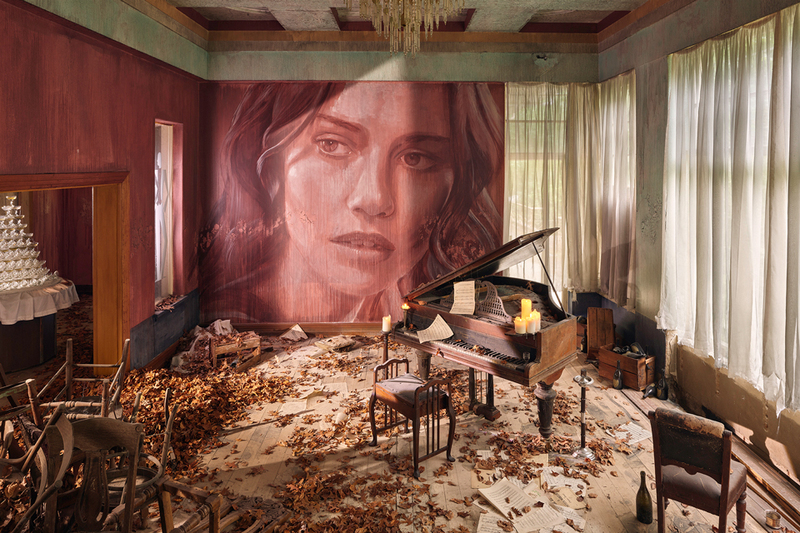 Featuring extensive Deco-era styling from interior stylist Carly Spooner (The Establishment Studios, The Omega Project) across 12 of the estate’s otherwise empty spaces, the experience has been meticulously curated to evoke a distinct series of moods as audiences move from room to room. garden to achieve its aged patina before being transplanted back into the house — moss, leaves and all. 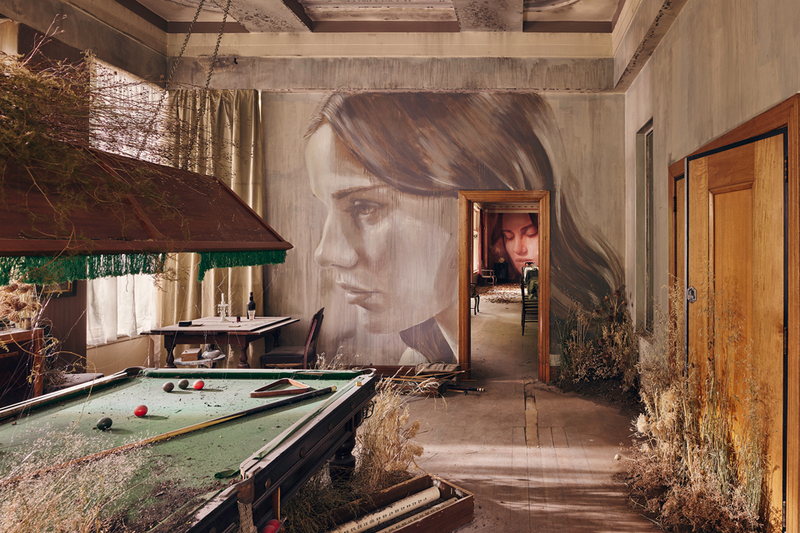 Elsewhere, bespoke scent design by Kat Snowden, lighting design by John McKissock, and stirring multi-channel sound design from composer Nick Batterham present sensory elements that draw audiences deeper into Rone’s veiled narrative. 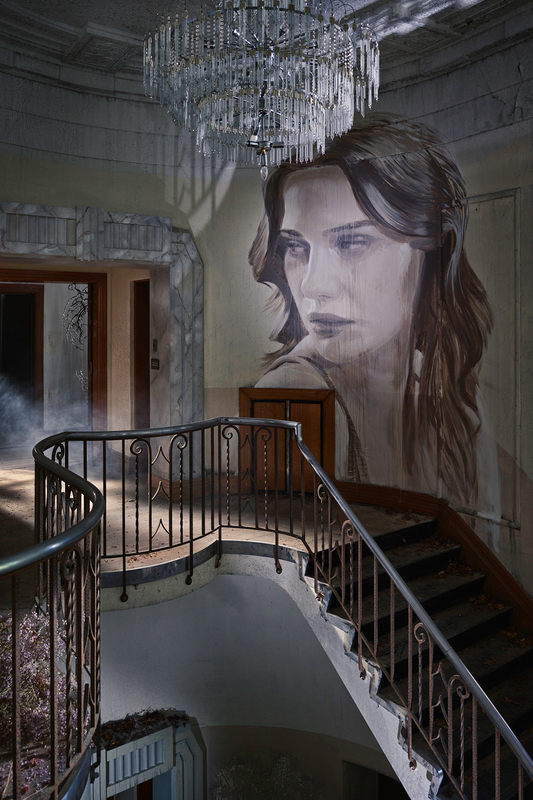 Appearing as ghosts or hazy recollections, a series of the artist’s evocative monochrome ‘Jane Doe’ portraits loom large on walls across the multi-storey mansion. 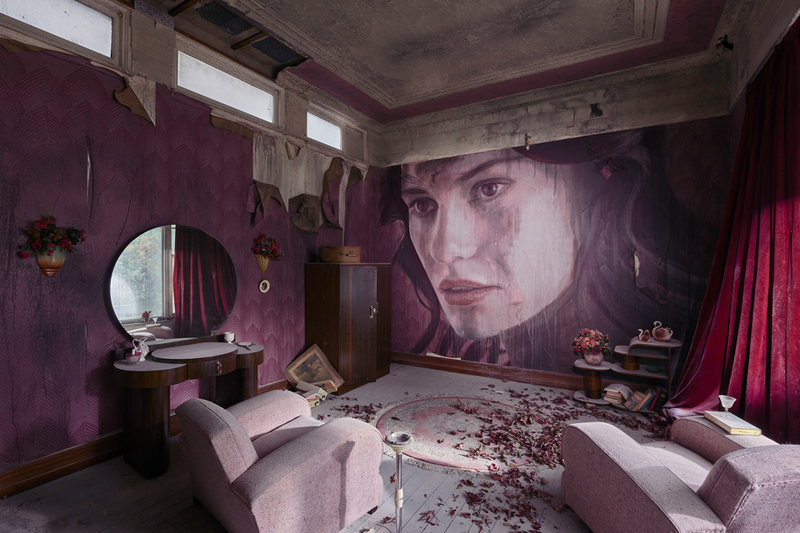 After an exhaustive search for a muse that could embody the mood and aesthetic that Rone envisioned for the project, he connected with screen actress Lily Sullivan who, as it turned out, was already a fan after seeing The Omega Project in 2017. 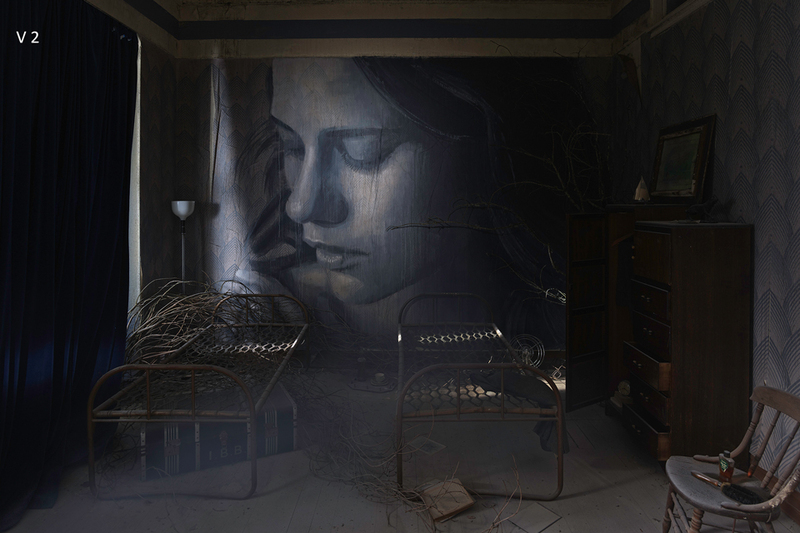 Rone says, “I want people to walk in and feel like they can explore the possibilities of what might or might not have happened here. 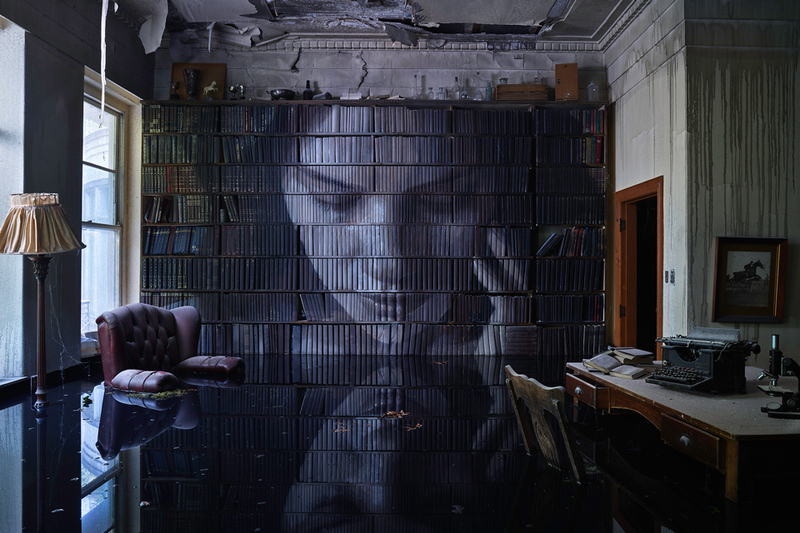 I love exploring the concept of how — and why — something so magnificent can be left to decline into ruin. 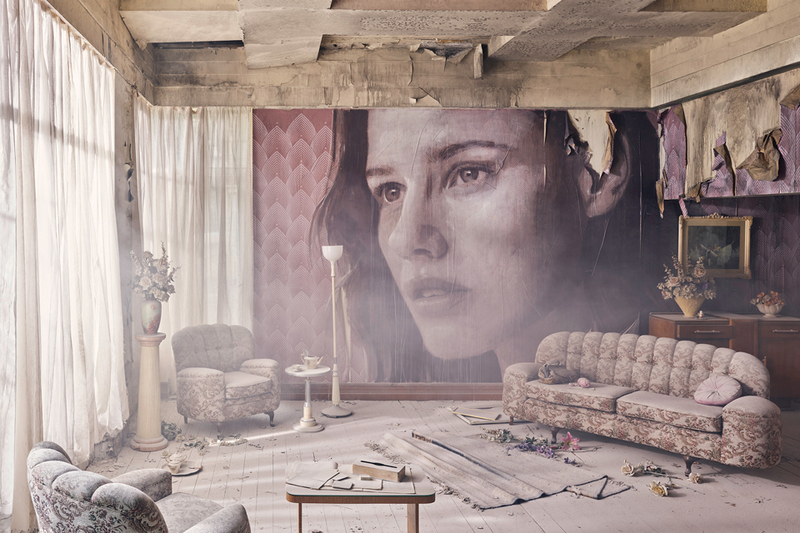 Empire is about offering audiences the chance to create their own story; to temporarily transport their minds to another place, another time.” EMPIRE closes 22 April, 2019.